Life’s Good’ is very well maintained and in legal AMSA survey for the whole of the Australian Coast. 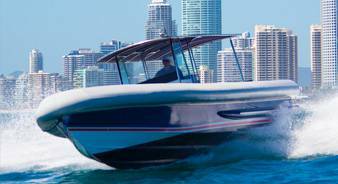 She is a unique power catamaran and very comfortable in all weather cruising for up to 25 passengers in the Broadwater and 8 passengers off-shore. 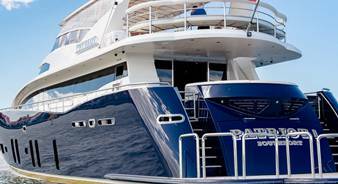 With her hard top on the Flybridge and clears on all levels, blue tooth sound system, saloon with leather seating, 3 bedrooms, toilet and shower she is of a luxury standard. She has 360 degree views from all areas as well as up on the protected flybridge. 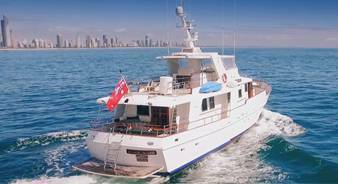 She is probably one of the best charter boats of her size in Australia, suitable for all kind of events! Her skippers’ and crew are very well trained in both safety and high standards of service. An affordable unique and very comfortable 39 ft power catamaran ‘Life’s Good’ with brand new powerful turbo diesel engines, new gearboxes, remote controls and amazing underwater lights. 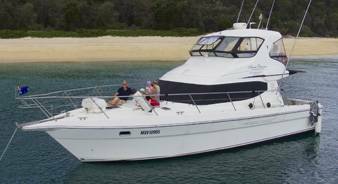 Cruise Gold Coast offers personalised and private boat charters on the beautiful Gold Coast waterways and offshore adventures! All weather cruising : Rain , hail and shine! Can be international speaking : English, Chinese, Japanese or Spanish!